“Once they know we're going to be able to do our electronic tolling, we can borrow against those anticipated tolling revenues,” Lamont told reporters on Wednesday. The former businessman suggested such a move would allow the state's Department of Transportation to jump-start spending on certain key transportation projects as it awaits the necessary federal approvals and the installation of tolls. That has been estimated to take anywhere from two to seven years. 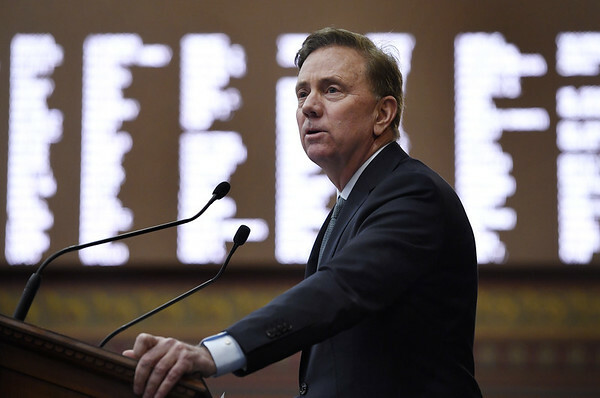 Lamont, who opposes increasing the gas tax, wants to install electronic tolls on Interstates 84, 91, 95 and Route 15 to “speed up our transportation system” and to “get this state moving again economically.” Connecticut, which has not had any tolls since the 1980s, faces an estimated $60 billion backlog of unfunded transportation infrastructure projects. Meanwhile, the state's main transportation account is projected to be insolvent by 2024. “We very much don't want to put the state in jeopardy when it comes to something like this,” he said. Joe Sculley, a lobbyist and president of the Motor Transport Association of Connecticut, a trucking organization that opposes tolls, said there's been a “pretty bad history” of governments trying to get upfront cash from leasing everything from highways to parking meters to private entities. He sees similarities to Lamont's idea of borrowing money from a private backer against future toll revenues. Posted in Newington Town Crier, Newington News on Monday, 15 April 2019 12:48. Updated: Monday, 15 April 2019 12:51.